OK…this is your last chance. Registration for Holiday Open Studio 2014 at the Digital Art Academy is open until Saturday, November 15. After that it is too late. The class started this week and I am the first instructor. During my week, we learn about making calligraphy in Painter 2015 or Painter X3. I provide some special calligraphy brushes for Painter 2015 and Painter X3. Over the last couple of days, I have made 4 more variants to add to the set. The following video is a shameless promotional video for the class, but you do see me practicing calligraphy in Painter 2015. It is that time of year again. 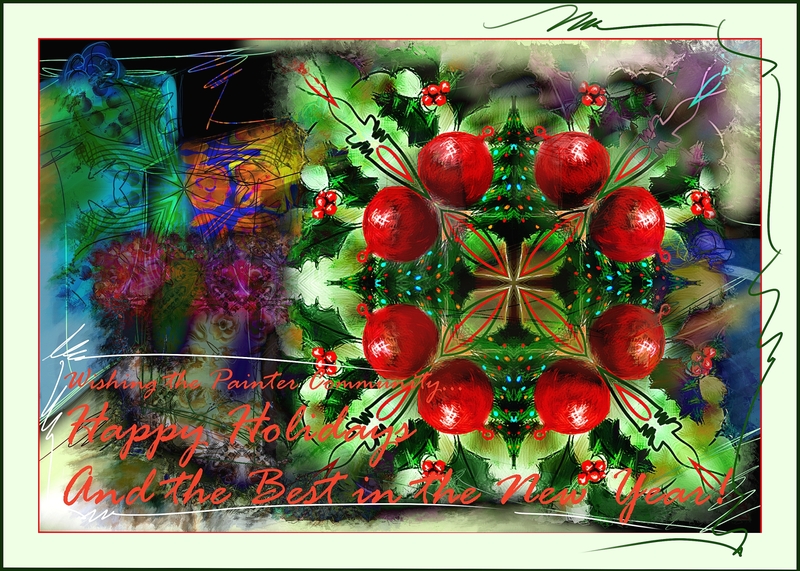 Holiday Open Studio, a tradition at Digital Art Academy, starts day after tomorrow, Saturday, November 8, 2014. As usual, it will be a fun packed few weeks. Do join us and click the link above and register for this session. This year, I start the party with lessons on calligraphy. OK, I’m not a calligrapher or a scribe, but I created some cool brushes and show you the basics of calligraphy. I teach a type style called Foundational Hand, which Edward Johnson developed from a 10th century manuscript. Want to see a quick video of me starting the alphabet with Foundational Hand. Well, it is below, but fair warning…it is really a shameless advertisement for the class…but you do see me making part of the alphabet. 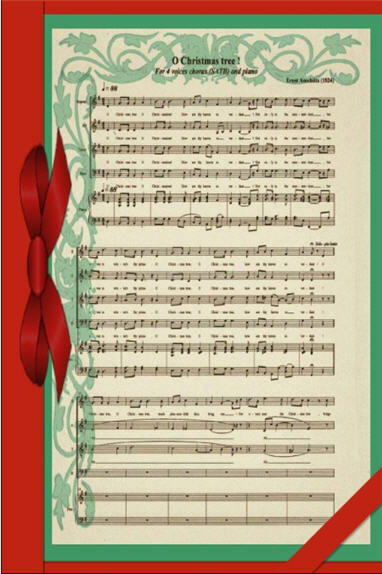 Elaina Moore-Kelly reserved the second week for an old-fashioned nostalgic look at Christmas. She explains how to create a Christmas card that looks like a chalkboard card. It is very cool and this type of image is very trendy in craft circles this year. Elaina provides written and video lessons. Next up is Aaron Rutten with something fascinating. Aaron demonstrates how to paint totem art in a traditional Native American style. Totemic art is found in cultures all around the world, which allows the student to draw inspiration from a variety of places. Aaron encourages each student to choose their own totem animal or symbol, and paint it abstracted instead of in a realistic way. Corel Master Painter Karen Bonaker takes the lead for the two final weeks. She developed a wonderful technique to create digital Japanese woodcuts. I have seen some of her images and they are stunning. She is very excited about the process and I can tell it will be a lot of fun. What color is snow? Karen tells us in her second week. I can’t wait to find out. I thought snow was white. Didn’t you? Karen paints snow scenes in a glorious rainbow of colors; after the class, we can too. OK…that’s the skinny. Check out Holiday Open Studio at the Digital Art Academy. Register today and join us for this years seasonal fun. I’m excited about the new classes at the Digital Art Academy (DAA). Check out these wonderful offerings. Landscape Painting Fundamentals, Instructor Aaron Rutten, starts February 1, 2014. Aaron is new to DAA and has a very fresh approach to digital landscapes. A High Dive for Gumby, painted by Aaron Rutten in Corel Painter. Here is an example of a landscape painting that Aaron will demonstrate in the class. Isn’t it exciting? I know you will want to take Landscape Painting Fundamentals. I think this class will be a lot of fun. I am very excited about Acrylic Painting on Digitally Printed Canvas with Painter Master Marilyn Sholin. Having Marilyn back at DAA brings so many fond memories. I took my first digital online class at DAA from Marilyn in September of 2008. I loved the class. Now she is back at DAA sharing how to enhance your digitally printed canvases. Acrylic Painting on Digitally Printed Canvas starts February 17, 2014. This class will change the way we finish our paintings. In addition to the two new classes at DAA, there are a number of Self-Paced Classes (Open Enrollment) available now and coming soon. Self-Paced class content is available to download immediately. Your instructor provides support for questions about class content. These classes do not include live sessions however some may include recorded live sessions. There are no deadlines and you can work at your own pace. Master Painter Karen Bonaker’s popular class, Photo Painting 101 for the Beginner, is now a Self Paced class. Don’t let the “for the beginner” moniker fool you; this class is full of tips and tricks. I am always surprised at how much I pick up in every class I attend. Elaina Moore-Kelly provides the best fundamental basic class for Painter X3 and Painter 12 found on the Web. Her classes are PDF based, very comprehensive, and easy to understand. For beginners and advanced users alike. If you are an advanced Painter user, treat yourself and be surprised at how much new stuff you will discover. These classes are win-win for anybody. Returning in March are the very popular digital photography classes with Al Mierau, Digital Photography – The Basics, and Introduction to Black & White Photography. Lots of wonderful education opportunities in 2014. If you are wondering why I’m not on the list, too bad…I ain’t telling. Just kidding. I have some minor medical issues that I need to take care of in February. After that, look for new classes from me. It pleases me to announce several new Corel Painter X3 classes available for registration now. You will love them all! It is time for the Digital Art Academy’s annual Holiday Open Studio. Corel Master Painter Karen Bonaker teaches two weeks with Elaina Moore-Kelly and myself each taking a week. Want four, fun-filled weeks full of painting Holiday Cheer? Then do join us for this special seasonal class. Holiday Open Studio starts November 9, 2013; closes for Thanksgiving week, and restarts on November 30, 2013. The dates are Open November 9 – November 22; Closed November 23 – November 29; Open again November 30 – December 13. As a teaser, here is an image by Karen. She demonstrates how to create lovely images like this one. Don’t miss Holiday Open Studio! Elaina Moore-Kelly is well-known for her “Intro Courses for Corel Painter.” Part 1 of her Introduction to Corel Painter X3 is open for registration. I know, you have used Painter for a several years and you don’t need an introduction course to Painter. Or, maybe you are just starting with Painter and are utilizing all the videos you can find on You Tube or various blogs, and you don’t think you need an Introduction course. Phooey on that. Yes, I am telling you, the advanced user and beginner, that you are very wrong. Corel Painter is a very complex piece of software, which means it is difficult to learn. Time and again, experienced users surprise me with their shallow knowledge of Corel Painter. Yes, you can get by with limited knowledge and create stunning works, but imagine what you could produce if you knew the program more intimately. Extra knowledge improves work flow, too. Trust me; a second look at Painter is a “win-win” situation. The benefits you gain will more than justify the small cost of this class. If you are a beginner, the class prepares you to properly use all the bells and whistles of Corel Painter X3. Elaina’s classes are beautifully crafted. The class is open enrollment, which means you can register at any time and work the assignments at your own pace. You may download all materials and use them when needed. 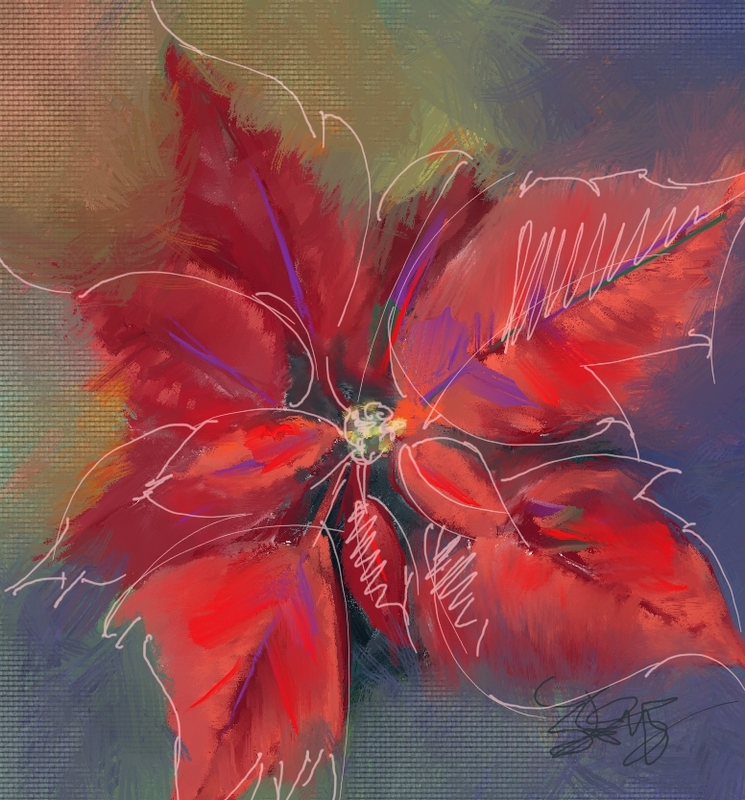 Register for Introduction to Corel Painter X3, Part 1 now. Tim Shelbourne has a new class open at The Artists’ Quarter (TAQ), Corel Painter X3 Natural Media Studio: Opaques. Tim’s classes are always top-notch and I have enjoyed taking every one of them. This class has the added bonus of some new custom brushes created by Tim. The brushes are fabulous. He calls them Schmid brushes and they were inspired by the work of renowned artist, Richard Schmid. Check out this video on FB; https://www.facebook.com/photo.php?v=10152235582763032&set=o.508369542565533&type=2&theater. Here is an example of an image created by Tim using his new brushes. In class Tim will demonstrate his techniques. Tim Shelbourne’s Gunslinger, Corel Painter X3, using new Schmid brushes. You will love Tim’s class: Corel Painter X3 Natural Media Studio: Opaques. Well, that’s about it for this post. Do take these classes; you will be glad that you did. In my last post, I admitted that I am just starting to prepare for Holiday Open Studio. To prepare, I do a number of sketches of my subject. I use a variety of photo references. After I feel like I know my subject, then I paint the final image without references. I will record the final image and that recording along with other tips becomes the lesson. Woohoo, this is scary. I have never published something like this. I start by sketching the subject with a custom variant called Skip’s sharp pencil. I don’t think I have ever posted it for download. I follow the pencil sketch with a painted sketch…at least that is what I call them. Some are OK, others are not. Here is the image that you will see painted. Cut me some slack; it is my first try. Here is the video. I hope you enjoy my struggles. UPDATE: There appears to be something wrong with the video. I have deleted it and will repair it and post in the morning. Sorry for the bad video. UPDATE 2, 10/26/2012. This morning I have tried to repair the video with no success. I’m going to re-process and see if that will fix it. Give me a couple of hours and I should have something. So sorry about this problem. UPDATE 3, 10/26/2012: I give up. I have done everything I know to fix the video, but I’ve had no success. I will be doing more of these paintings and I’ll record the next one and post. I honestly do not know why the video flickered so violently. There seemed to be a black frame between two good frames. Again, I am so very sorry for the mess up. Now I have to run and do some more stuff, so I’ll be ready for class. Hope you join us for some Holiday fun. Holiday Open Studio, Digital Art Academy, Registration is open! It’s time for the Holidays! It is that time of year again. And I say Yahoo! That’s right Corel Painter Master Karen Bonaker’s annual Holiday Open Studio starts November 17, 2012 and ends December 14, 2012. You will want to register for Holiday Open Studio here. Elaina Moore-Kelly and I will join Karen again this year. Karen will start the class off on Week 1, with Fall Landscapes. As usual, her demonstrations will be in Painter 12, but students can use any software they like. Folks use Photoshop, Art Rage, and earlier versions of 12. Both Karen and I will primarily use Buttery Oils. Check out this beautiful painting of Karen’s using combining watercolor brushes, Bristly Dabs, and Buttery Oils. I love fall colors. I am going to have fun. Elaina has week two. She is a card maker extraordinaire. Elaina describes her class this way, “Wouldn’t it be great to send out your own hand-crafted cards this year? Join me this week as I demonstrate how to make and print your own unique cards while you learn how to do some crafty tricks using Painter 12.” I hope I send cards this year. I’ve been so bad about it for so long…sigh. Maybe with Elaina’s help, I’ll send some this year. Take a look at Elaina’s beautiful work. Week 3 and I’m up. OK, can I be honest? I haven’t prepared the class, yet. I’ve started but have a bunch to do. I know that I am going to work with Buttery Oils, as well, but no landscapes. I’m going floral. Still life or just floral, I’m not sure yet. I thought it might be fun to give you a little insight into the preparations I do for a class. I usually have to do a number of painting sketches to learn my subject. These studies are never posted…yuck…they are just trials. But, for fun, right after this post, I will post a video of my first practice with a poinsettia. I think you will find it interesting. So to see my example, check out my next post. Karen brings Week 4 with snow scenes. It’s a toss-up which class I’m most excited about. I think all four will be terrific. I know you will love Holiday Open Studio. Remember it is for anyone, beginner to advanced users. There is lots of sharing and we learn as much from each other as we do from the instructors. I know I learn tons from Elaina and Karen. Here is the link for registration again. Holiday Open Studio. Hope to see everyone there. I promise you will enjoy it. It’s like one big family.